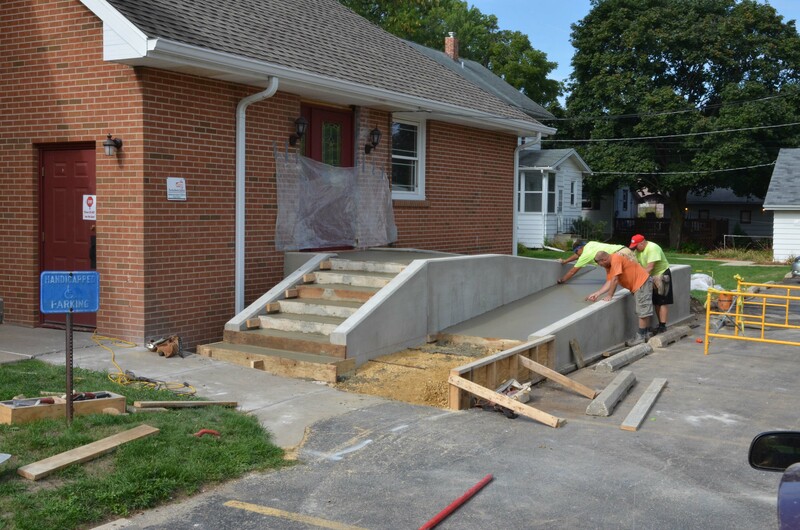 We are making lots of progress on our accessibility ramp at the Red Brick Church in Stillman Valley. We are making ongoing progress in making our church more accessible. When our church building was constructed well over 100 years ago, it was not a priority for the building to be accessible. Even when the “new” addition was built on in 1958, accessibility was not a priority. We are thankful that this year for the first time in our 154 year history our building will be easily accessible.